After last season's historic accomplishments, this season was never going to match it, in terms of drama. And, to be candid, the season has always had the feel of an inevitable march to the title by Golden State. So, the first real drama of the season came in the form of the All-Star vote, which resulted in the possible MVP (Russell Westbrook) not being named to the starting unit. To his credit, Westbrook took it in stride, and declared that he's only interested in championships. Unfortunately, now that he's signed to the Thunder for the long term, it's likely he will end his career without winning a ring. Let's take a look around the league. Break out Brett Brown’s Philadelphia 76ers! The oft-maligned franchise is one of the hottest teams in the league. Since Dec. 30, the Sixers are 8-3 straight-up and 9-2 ATS, and are tied for the 4th-best record in the league over this stretch. Of course, a slightly easy schedule hasn’t hurt. Philly played six of those 11 games against teams that currently have a losing record, and it won all six, both SU and ATS. This week, the 76ers will alternate home and road games, with matches against the Clippers, Bucks, Rockets and Bulls. The game at Milwaukee will be particularly difficult for the young Sixers. And that’s because Philly just stunned the Bucks, 113-104, in Milwaukee on January 16, as a 9-point underdog. But the Bucks had won nine straight games (7-2 ATS) in the series before that defeat. And Milwaukee is 26-17-1 ATS when playing with revenge from an upset loss. Also, Philly is a poor 44-68-3 ATS in the regular season when playing a revenge-minded opponent, including 3-12-1 ATS if Philly was an underdog of at least +9 points in the previous meeting. Lay the points with Milwaukee on Wednesday. It was an upside-down week. The two highest-scoring teams (Warriors/Rockets) were a combined 8-0 ‘under’ the total, while the league’s two stingiest teams (Jazz/Spurs) were a combined 6-0 ‘over’ the total! Of course, that’s what makes sports gambling such a challenging enterprise. The aforementioned Spurs have now played 15 of their last 20 games ‘over’ the total, including their last six in a row. And that’s a departure, course, from what the Spurs have done the previous two seasons, when the majority of their games went ‘under’ the total. Indeed, the Spurs have been an ‘under’ team, generally speaking, since coach Gregg Popovich took over on December 10, 1996. But, interestingly, the one area where the Spurs have gone ‘over’ the total is in non-competitive games, with double-digit pointspreads. Then, the Spurs have gone ‘over’ 215-191-8. In contrast, San Antonio’s gone ‘under’ the total 744-655-16 in games with pointspreads below 10 points. This season, the Spurs have gone ‘over’ the total in 10 of their 14 games as a double-digit favorite, including nine of their last 10. This week, San Antonio will travel to Brooklyn, Toronto and New Orleans, before returning home to face the Mavericks on Sunday. San Antonio should be double-digit favorites vs. the Nets and Mavericks, and the game against the Nets has all the makings of a high-scoring game. Brooklyn has gone ‘over’ the total 25-17-1 in Kenny Atkinson’s first year as head coach, including 11-4 when catching double-digits, so I look for a high-scoring affair. The Los Angeles Clippers received the worst-possible news last week when they learned star point guard Chris Paul would be sidelined upwards of two months following surgery to repair a torn ligament in his thumb. Paul’s value is enormous. He’s not only averaging 17.7 ppg, 9.8 apg and 5.3 rpg, but he’s one of the best defensive guards in the league, and averages 2.25 steals per game, tops in the league. His player efficiency rating is 27.48, which ranks #6 in the NBA. And the Clippers have been 20.8 points better per 100 possessions with him on the court. Paul’s absence was immediately felt by the Clippers, who lost their two games this past week without him. On Thursday, the Minnesota Timberwolves won, 104-101, at Staples Center. And that was the first time all season that the T-Wolves won a close game, decided by less than five points. Until then, Minnesota was 0-10 in that situation. Even worse: on Saturday, Denver blew out Los Angeles, 123-98, which lowered Los Angeles’ record the past two seasons without Paul to 5-12 (compared to 79-35 with him in uniform). The good news for Doc Rivers’ crew is that Griffin’s status is day-to-day, so I look for him to return sometime this week, though he won’t play in Monday’s game at Atlanta. The Memphis Grizzlies will host the Toronto Raptors on Wednesday, and will have a decided advantage due to the two teams’ respective schedules. Memphis will play this game with three days off, following a loss at home, this past Saturday to the Houston Rockets. Unfortunately for the Raptors, they’ll be unrested, as they will host the Spurs on Tuesday. This is a terrific spot for Memphis, as it will also be playing with revenge from a 120-105 loss to the Raptors at the Air Canada Centre in November. And, since 1990, NBA revenge-minded teams, playing with at least three days’ of rest, have gone 91-59 ATS at home off a loss vs. unrested foes. I look for the Grizzlies to blow out Toronto. 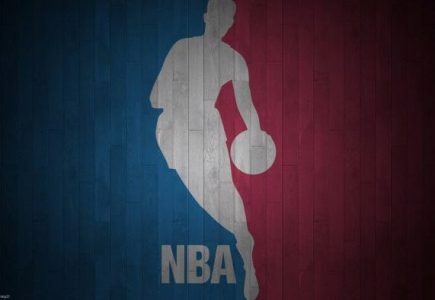 And don’t miss any of my Hoops Winners here at Covers.com, or my NFL Game of the Month in the Super Bowl, as I’m now 317-249 my last 566 in Basketball and 84-51 my last 135 in Football. Join for a week or month today to get all of my award-winning plays!